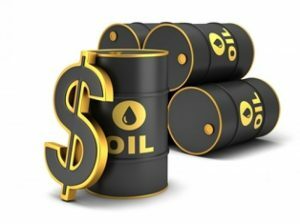 What Policy Positions Do Political Parties Have on the Utilization of Oil Revenues? On 16th February, 2016, the Natural Resources Governance Institute (NRGI), and the International Institute for Democracy and Electoral Assistance (International IDEA), in collaboration with the New Patriotic Party (NPP), the National Democratic Congress (NDC), (four political parties with representation in Parliament) organized a national stakeholders’ platform on Ghana’s Oil and Gas resources. The objective of the platform was to provide these political parties the opportunity to communicate their new policy positions on the management of oil and gas to Ghanaians. Three of the political parties, NDC, CPP and PNC seemed to have similar goals on the promotion of investments that would transform the structure of the economy and create employment. But how to achieve this objective somehow differs. To start with, the PNC policy proposal is to invest a significant percentage of oil revenue in agriculture as this sector provides the largest share of employment opportunities. This policy objective is based on the assumption that oil and gas resources are finite. The PNC pledged to dedicate 60 percent of the 80 percent of petroleum revenue earmarked for capital expenditure to the development of agricultural infrastructure. The CPP believes in the participation of the state, the private sector, state-private partnerships, foreign entities and cooperatives in enterprise development. The party promised to strengthen the state owned enterprises and their fundamental role would be to create employment and provide jobs for the citizenry. The CPP would also support a long-term National Development Plan (NDP) that would invest in agriculture, manufacturing as well as infrastructure. This would increase industrialization and provide solutions to production and unemployment. The NDC on the other hand, promises to modernize agriculture, promote investment and transform the structure of the economy to create employment.